Chirayu Software Solutions: Installing your App on your iPhone or iPad using .ipa files. Installing your App on your iPhone or iPad using .ipa files. 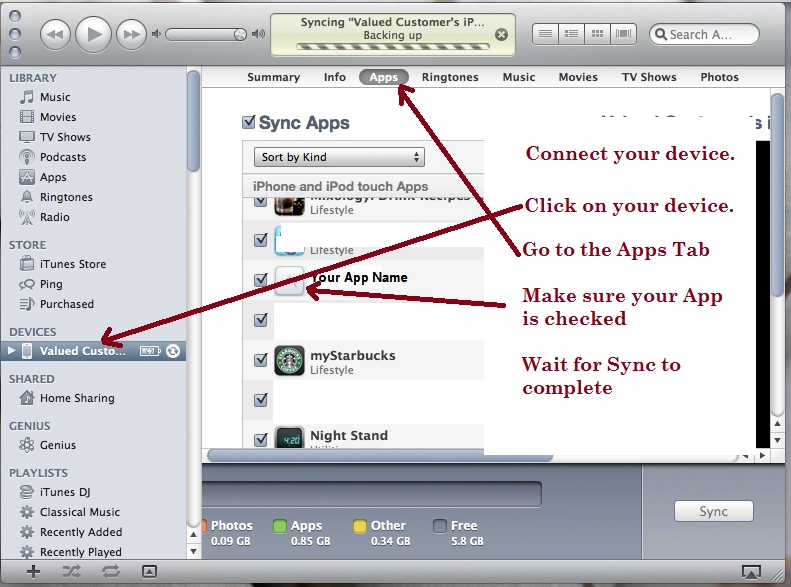 Here are the steps to installing your App on your iPhone or iPad using .ipa files. Open iTunes. 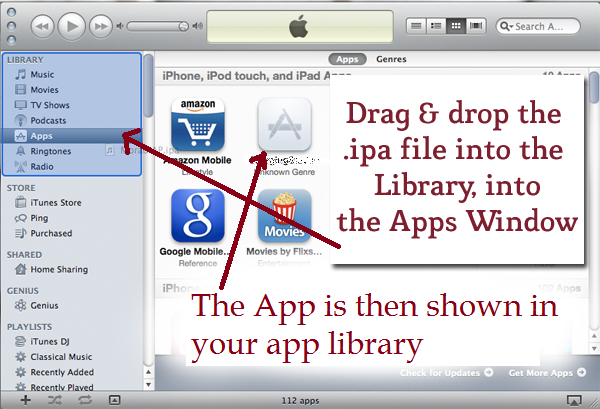 Then drag the downloaded .mobileprovision (if provided) & the .ipa files and drop it into iTunes Library. In iTunes select your iPhone (or iPad) under devices. Go to the Apps tab and make sure the checkbox for the new App is checked. If not, check it yourself.